Its like the sound of experienced explorers setting foot on a new musical continent. Wilco’s restlessness has found them territory all their own. 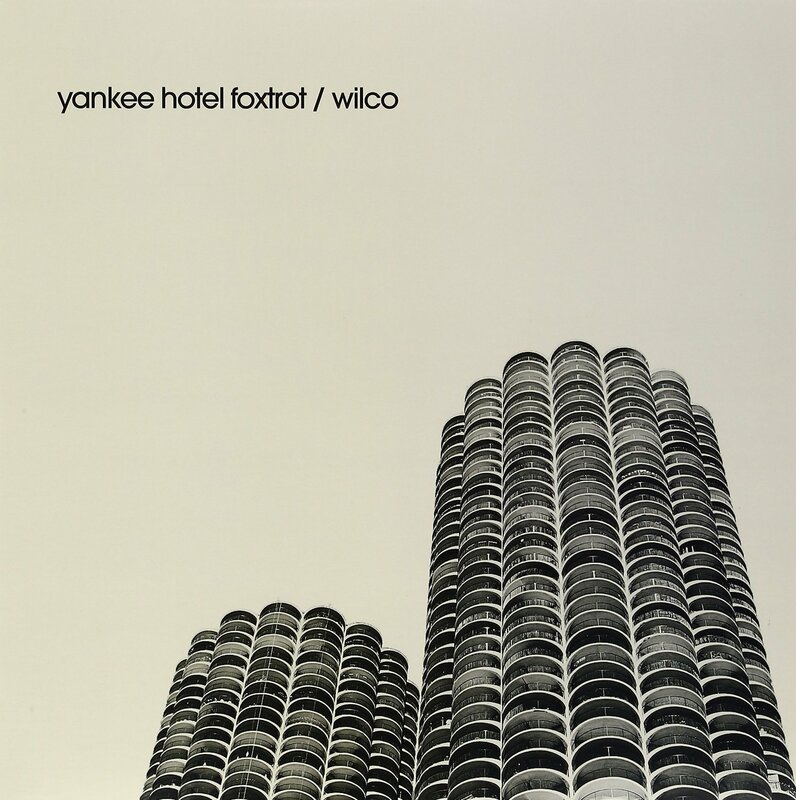 Yankee Hotel Foxtrot is the bravest and most creative record of the year. (You can learn all about how it came about by seeking out the new documentary titled I Am Trying to Break Your Heart.) Working back through their catalog, you’ll hear new ideas rattling around in their reckless mix of country, grunge, folk, and blues. This is the sound that was taking root, and now it has burst into bloom. Here, Wilco peppers their carefully developed homemade folk-rock sound with electronics, creating a dissonant and emotional language of depression, confusion, and longing. It’s a story told over a cycle of songs: the singer looks back, nostalgic for innocence; it looks around at the heartbreaking present and the singer admits responsibility; and then it looks forward, with renewed conviction and hope. Jeff Tweedy creates an engaging lead character who breaks a heart, regrets it, wishes he could take it back, and learns to admit his mistakes. The more familiar you become with Tweedy’s whiskey-sour-and-cigarettes voice, the more beautiful it seems. Sea Change is a gorgeous, sprawling album of heavy-hearted introspection. 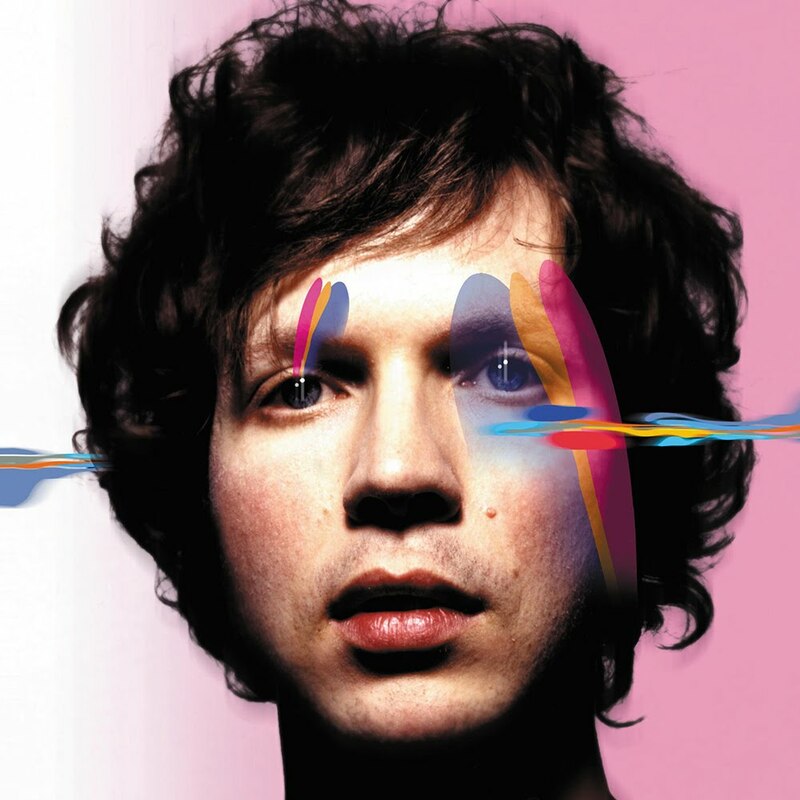 I think it’s Beck’s finest album and, as is so often the case, it comes out of a time of heartbreak and trouble. This recording may as well be dubbed the first album of a daring duo: Beck and Radiohead’s producer Nigel Godrich. Godrich seems liberated by the slow, sparse arrangements of these heartbreak narratives, so that Beck’s lyrics creak and groan like a battered ship at sea. And the sea… the sea is an ocean of strings more overpowering than on any rock record I can remember. Beck doesn’t suggest anything beyond the merest hope of healing for his broken heart. But art is not required to give us the whole picture. If it gives us part of the picture as fully and honestly as possible, we should be able to fill in the rest. The music, while sad, is beautiful, and proof enough that all things work together for good. Alice is a surreal journey through a wonderland full of freaks and frights. The songs come from a play for which Waits and his wife Kathleen Brennan composed music in 1994. The play follows the strange relationship between Lewis Carroll and the “Alice” of Through the Looking Glass, and thus there are references to obsession, madness, dreams, and the reflective surfaces of glass and ice throughout. Costello’s many styles and explorations seem to fuse here into a fascinating hybrid. He’s calling it his return to rock, but straightforward rock only occurs in occasional bursts on this release. “45”, “Dissolve”, and “Tear Off Your Own Head (It’s a Doll Revolution)” certainly recall the rowdy noise of early Elvis C., but others like “15 Petals” and “Spooky Girlfriend” demonstrate he can dip into other genres and sound like a seasoned professional. (Would you believe “Spooky Girlfriend” doesn’t just sound like a Destiny’s Child single? Yet, it lyrically lampoons the superficiality of the songs those girl-pop groups usually.sing.) Lyrically, these songs emphasize the sad burden of wisdom that comes with age. It’s interesting to hear a middle-aged rock star singing with more passion and energy than the youngsters. Another old-timer. Hey, these guys were at their peak of popularity before I was teenager. While their popularity may have declined, their material has not necessarily peaked. Here, Bowie revisits old sounds, mixes them with new ones, and fuses it all into an expression of spiritual discontent. It’s fun, funny, sad, soul-searching, whimsical, angry, and even hopeful. He may not have made his peace with God, but he still believes enough to argue, and that makes for a compelling listen. This isn’t so much a great album of music as it is a great recording of one person’s spiritual epiphany. When the Grammy-winning Lauryn Hill disappeared for two years, there were rumors of some kind of breakdown. The opposite was true. From her testimonies between songs on the MTV Unplugged stage, Hill recounts her awakening to Scripture and to God’s love. When you see the truth as fully as she has encountered it, lies are shown up as repulsive, and she shakes off the trappings of celebrity here with a passion. Then the songs, rough, raw outpourings of emotion, anger, prophecy, and ecstasy, reveal a woman in intimate dialogue with her Lord. While they may not be carefully crafted art just yet, they are the sounds of a new voice and a new beginning. Like the sounds from rusted pipes after a long winter, they are the vibrations and quakes signifying clear water is soon on the way. An astonishing record. Linda Thompson returns to the spotlight after a near 20-year absence. Having worked through her vocal difficulties, she now sings with a cold, clear beauty, like a traveler who has suffered many storms and learned the difference between lies and the truth. Many of these songs speak of disillusionment with various love affairs, but she writes these characters as humble enough to see the error of their own ways as well as the ways of those who did them wrong. This brings a quality of honesty and experience to the writing. The harmonies with her son Teddy and with folk singer Kate Rusby are thrilling, and the instrumentation as precise, spare, and lush as last year’s masterful Fan Dance from Sam Phillips. Another triumphant comeback. Tanya rediscovers some of the creative genius she displayed in her early days with Belly. She brings wit, world-weary wisdom, and passion to her vocals and her lyrics in an album more focused on the joys and mysteries of motherhood than even Sinead O’Connor’s Universal Mother. (You won’t find many rock records that will even raise the issue.) 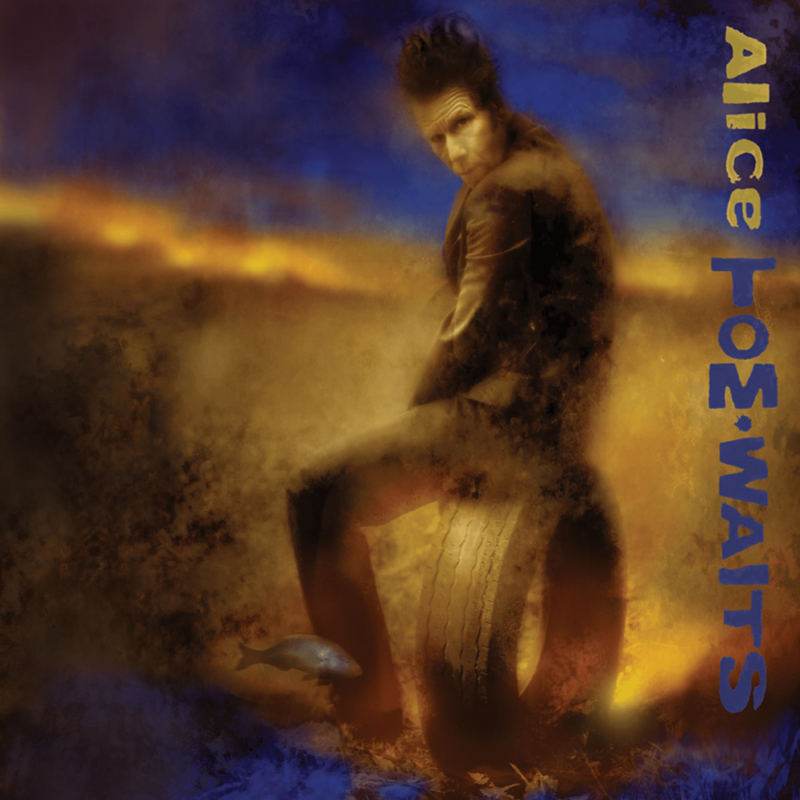 These songs are testaments of survival, perhaps a little too enamored of the singer’s own self-reliance. But it’s great to hear her sounding hopeful and excited again. Best of all, the creative potentail Donnelly teased us with in Belly’s brillian debut Star is bursting out all over this stormy album. As if applying to be a U2 for the Next Decade, Coldplay released an unapologetically hook-heavy album of carefully crafted arena rock. While their songs are sometimes annoyingly simplistic and rendundant, the vocals soar and the lyrics, while a bit sophomoric, are full of hope and gospel inspiration. They’re still looking for their own unique sound; there are too many echoes of U2 and Oasis here, but it’s exciting to watch them grow. Two albums that deal with loss and grieving. One is musically richer and more rewarding than almost any other album this year, but the lyrics are mired in near-despair, and what few gestures of hope are offered are rather empty and vague. The other is musically forumulaic and familiar, but lyrically it stands as a collection of soul-searching poems in which the writer gives voices to those who suffered personal loss in the recent terrorist attacks. Peter Gabriel’s Up is at once a thrilling musical journey and a severe disappointment — lyrically — for this longtime Peter Gabriel fan. Bruce Springsteen, on the other hand, has never done much that excited or interested me, but this year his lyrics were like psalms during a dark time, and the familiar Springsteen rock-and-roll felt rather reassuring.